It tastes like dessert, but is healthy enough for breakfast! 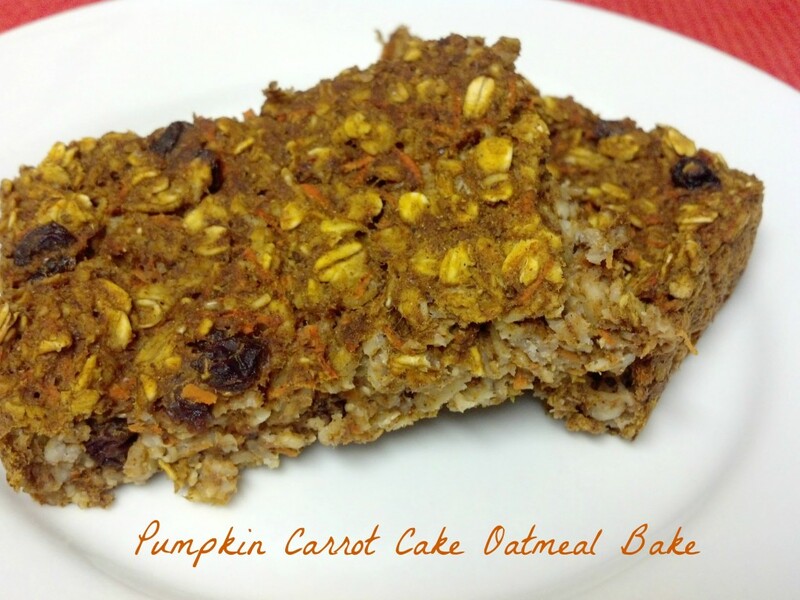 Baked Pumpkin Carrot Oatmeal recipe is a great "fix ahead" breakfast or snack option. Preheat oven to 350 degree F. Spray an 8 x 8" baking pan with cooking spray. Set aside. Combine oats, baking powder, salt, pumpkin pie spice, cinnamon, nutmeg, ginger, and sweetener in a large mixing bowl. Stir until well-combined. Mix in the flax egg or egg, vanilla, pumpkin, and almond milk. Pour the oatmeal mixture into the baking pan and bake uncovered for approximately 35 to 40 minutes, or until a toothpick comes out clean.